favour us with an expression of your views. 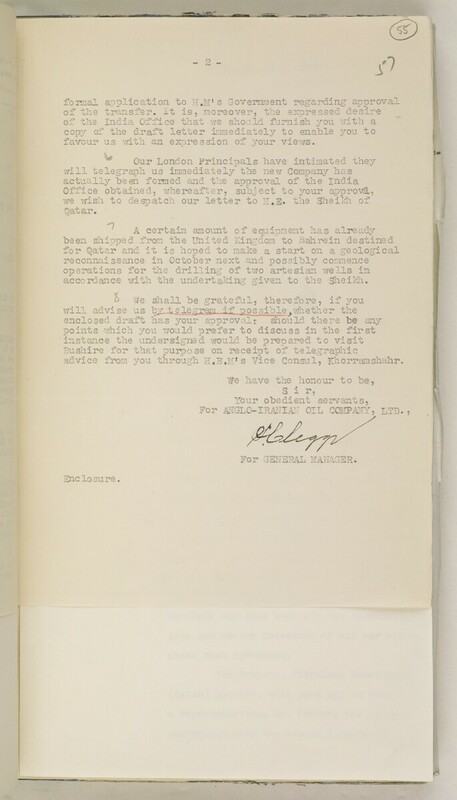 accordance with the undertaking given to the gheikh. advice from you through s Vice Consul, Khorramsha.hr. For MGLO-IRAETIAII OIL GCMPMY, LTD.